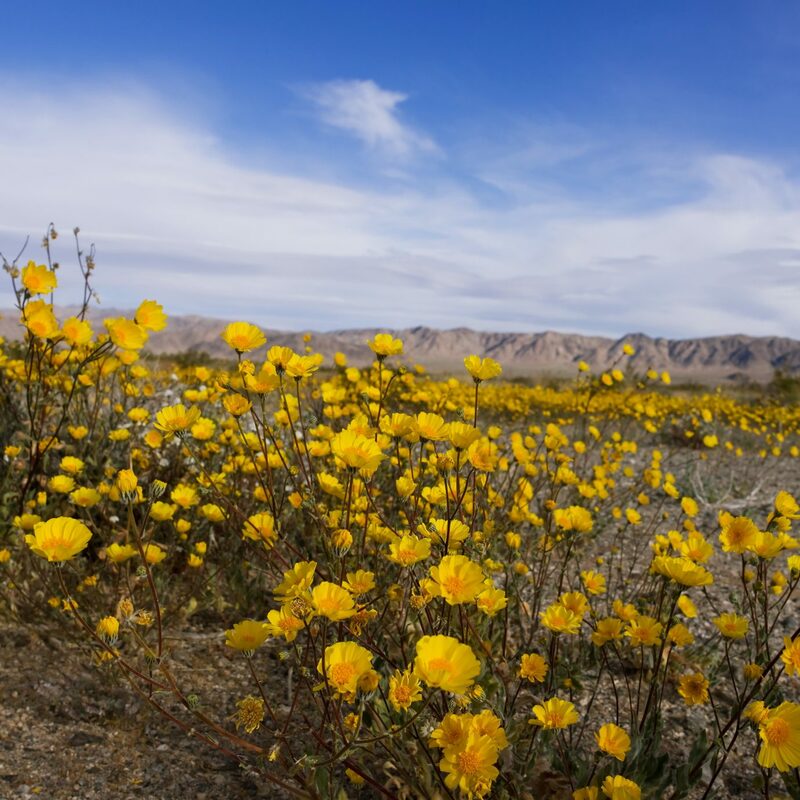 While the end of summer always brings an inherent dash of sadness, the changing of the seasons doesn’t have to mean the end of all your travel plans. 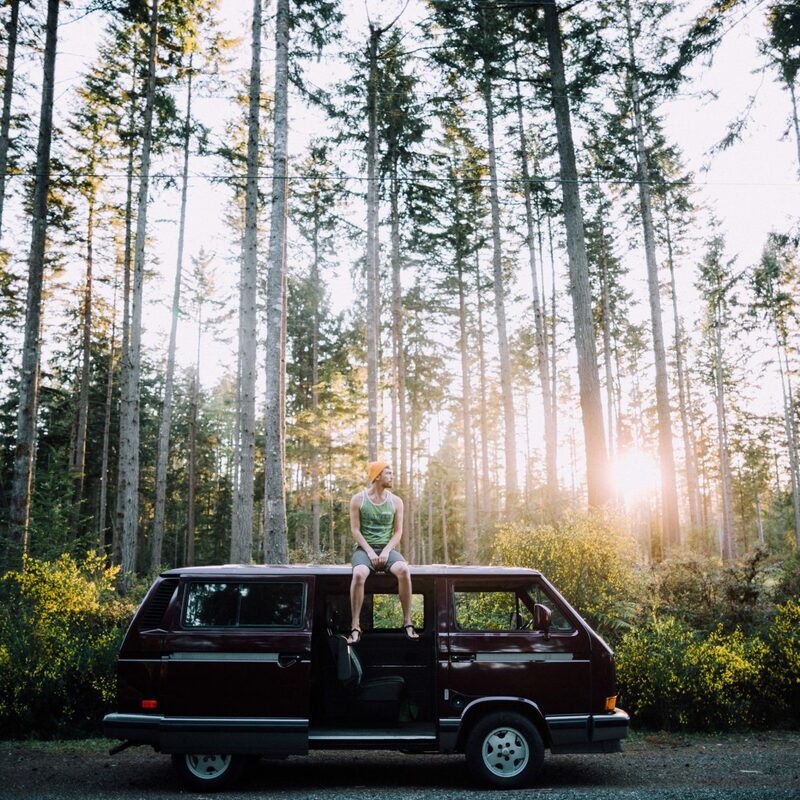 Thanks to fall's colorful leaves and dazzling sunsets, there’s no better time to charge up that T-Swift playlist, stock up on PSLs, and hit the road with your best friends beside you. 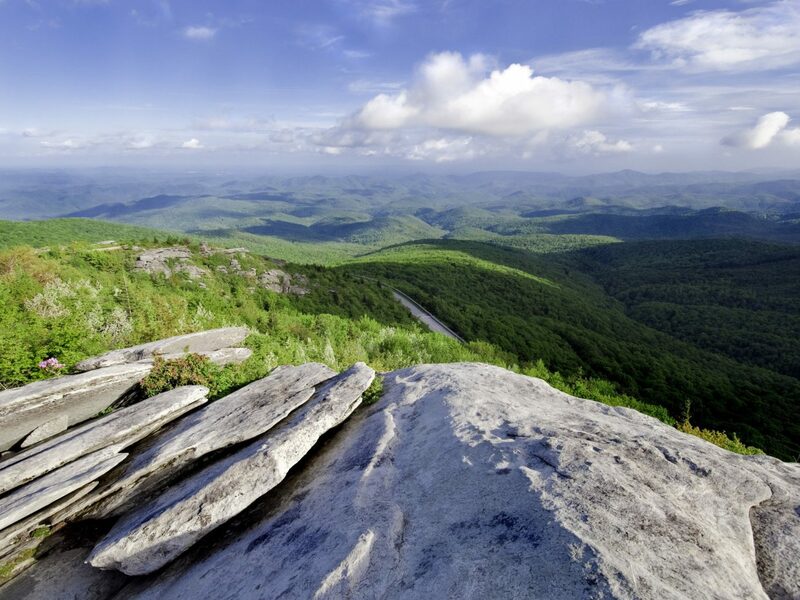 No matter what you’re into—sipping wine in Texas Hill Country, hiking in Virginia, or cozying up with cocoa and mountain views in Vermont—these 7 epic road trip ideas will have you relaxed and recharged in no time. 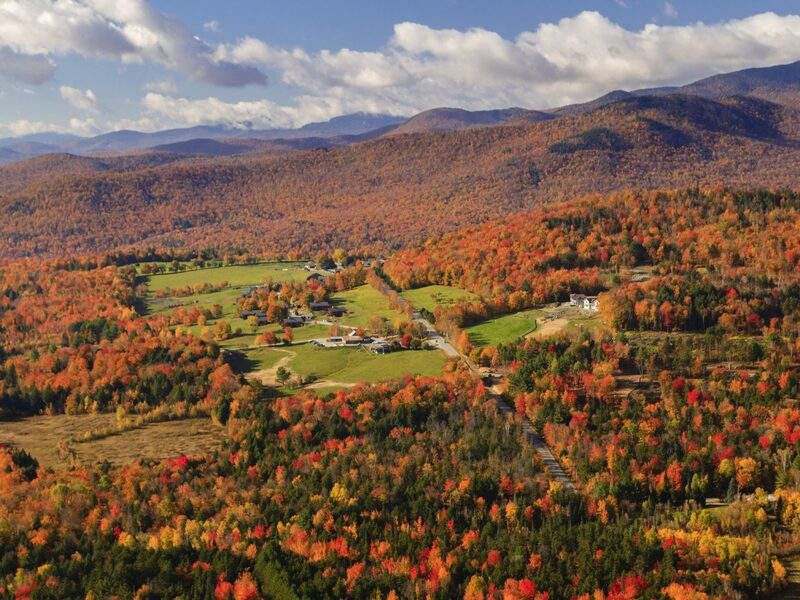 If peak fall colors are what you and your gals are into, look no further than a trip through Vermont’s iconic Green Mountains. 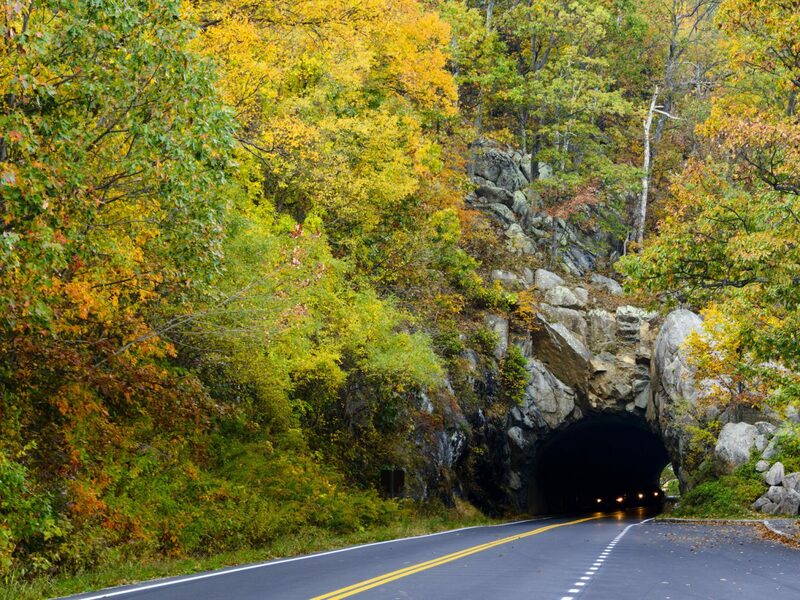 The Green Mountain Byway—one of the area's most scenic routes that's lined with color-changing maple, birch, and beech trees—starts in quaint, cozy Waterbury and ends in Stowe. 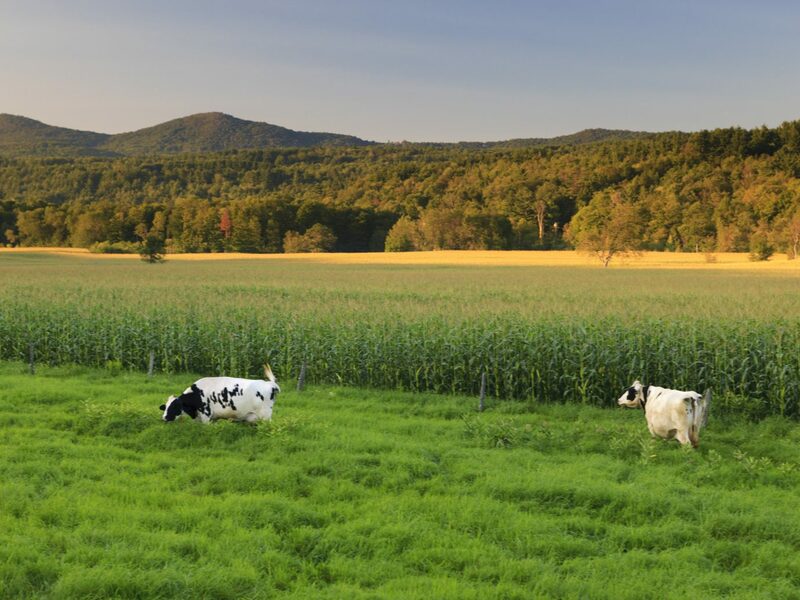 When you reach Waterbury, be sure to fuel up on some of the town's best culinary offerings: the Ben & Jerry’s Factory Tour offers a glimpse into ice-creaming making and the chance to taste a new or favorite flavor, the Cabot Farmer's Store is a must for stocking up on cheesy snacks, and Cold Hollow Cider Mill is your one-stop shop for all things fall-flavored (including apple cider donuts, maple syrup pops, and frozen apple cider slushes). 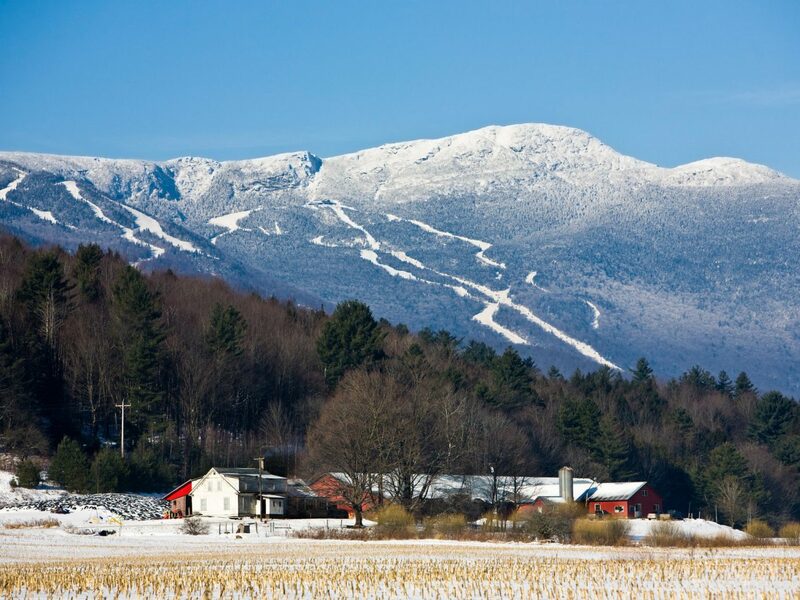 Then, weave your way through two state forests and three state parks before reaching Stowe, one of the state’s best areas for skiing. Check into Topnotch Resort, a 120-acre modernized ski lodge with a farm-to-table restaurant, then pepper your time between meals with hikes (or ski lessons) on Mt. Mansfield, gondola rides overlooking the surrounding forest, or inspired cocktails at the hotel's own Roost Bar. 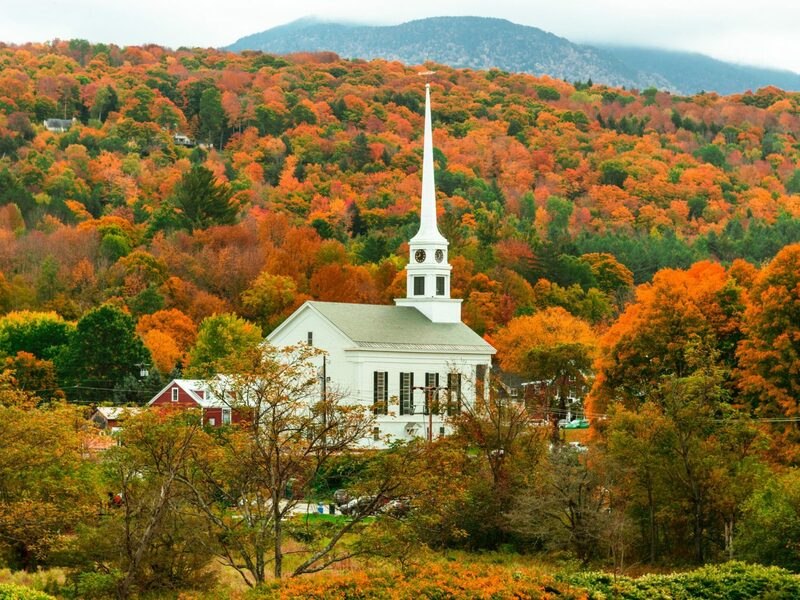 Downtown Stowe is as cute as it gets, especially Main Street, which is lined with quirky art galleries, indie breweries, and rave-worthy restaurants like Bench (known for its homestyle comfort food like fried chicken with biscuits and meatloaf covered in mountain ale gravy). 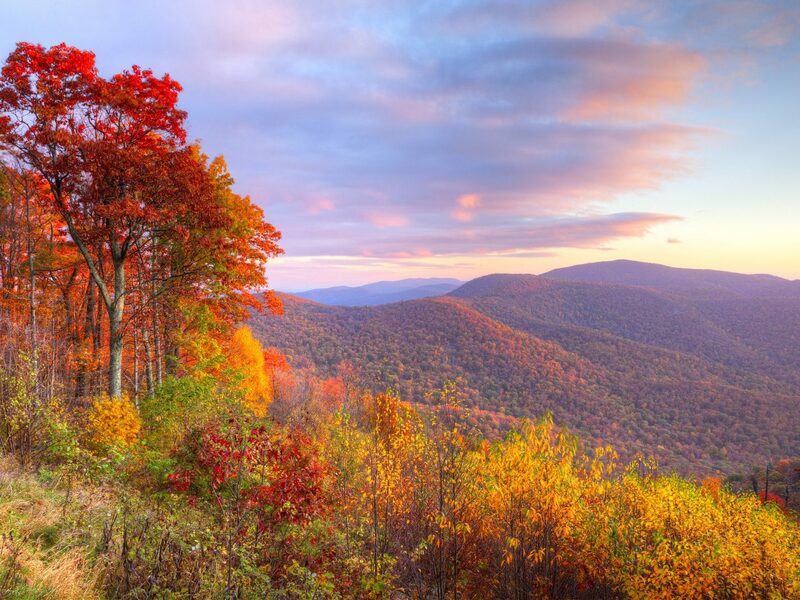 Fall is one of the best times to visit Washington D.C.: fewer tourists crowd the city’s national monuments, while the surrounding trees burst with color. Book a night at the Willard Intercontinental, whose location across from the White House is within walking distance of the National Mall. 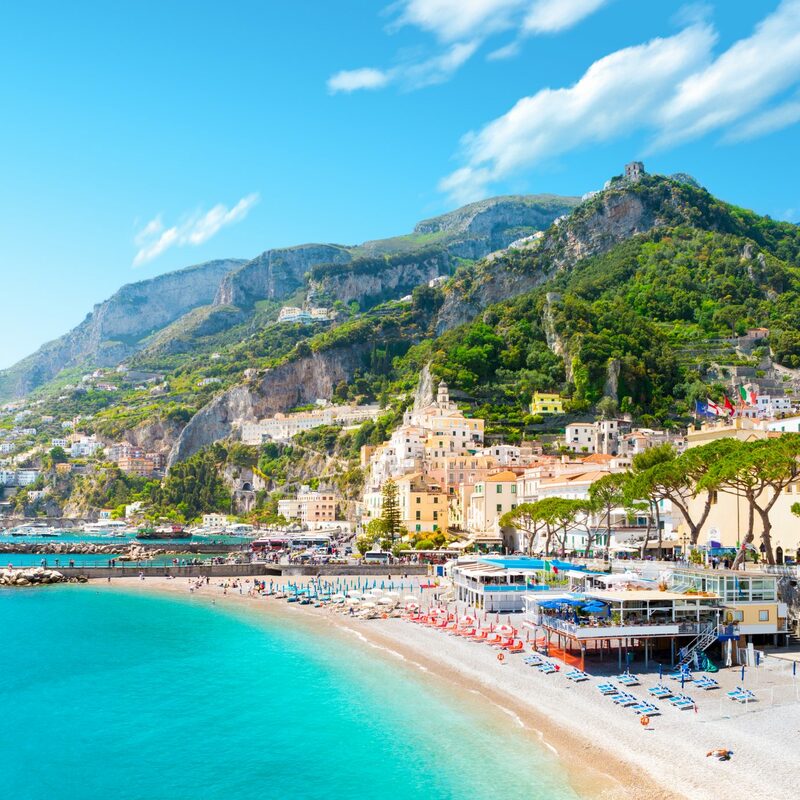 Traveling with a group of foodies? Don’t miss Jaleo, one of local legend Jose Andres’ eateries, or Rose's Luxury, a new American restaurant that continuously lands on Eater's annual Best Restaurants in America list. 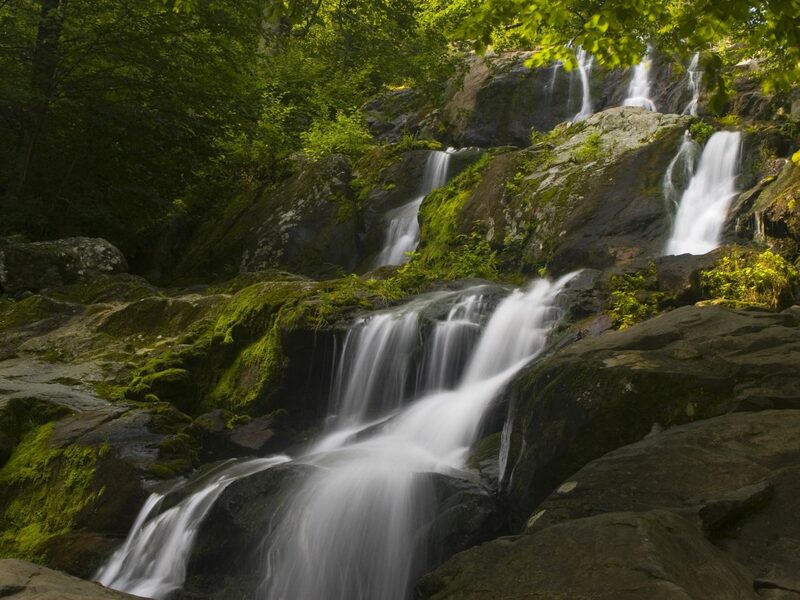 After a day of sightseeing, it's time to hit the road towards Shenandoah National Park, which connects the District with northern Virginia’s famed wine country. Start with the Winery at Bull Run, whose vineyards sits adjacent to a Civil War battle ground. Another must is Bluemont Vineyard, which has some of the area’s best views of the Shenandoah Valley. On your way, stop in Front Royal for a quick bite to eat at the cozy PaveMint Taphouse and Grill and be sure to save time to wander along Main Street for some antiquing. If you have the time (and the budget), book a table at the Inn at Little Washington, an English-style inn that houses one of the state’s best restaurants—think tasting menus featuring caviar, baby lamb loin, or milk-fed porcelet. 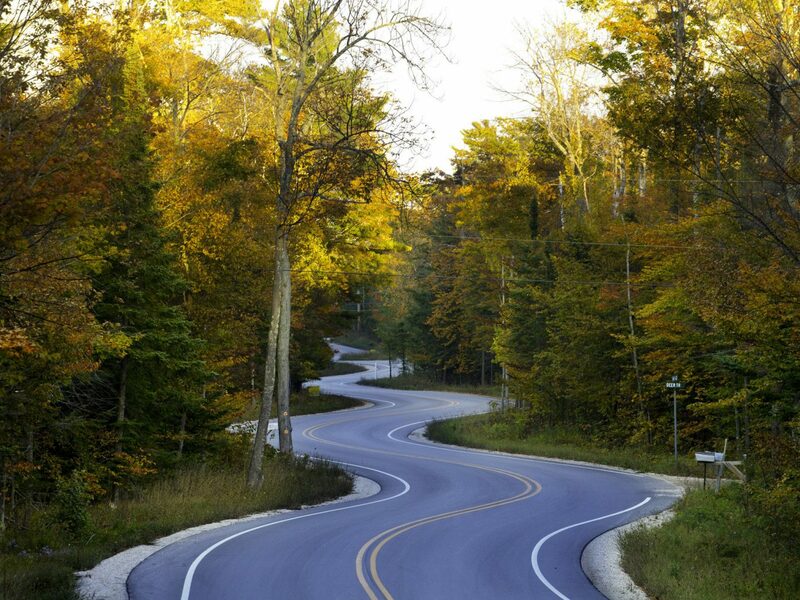 Wisconsin's Marinette Waterfall drive, in quiet Door County on the shores of Lake Michigan, passes through one of the most scenic regions in the Midwest. 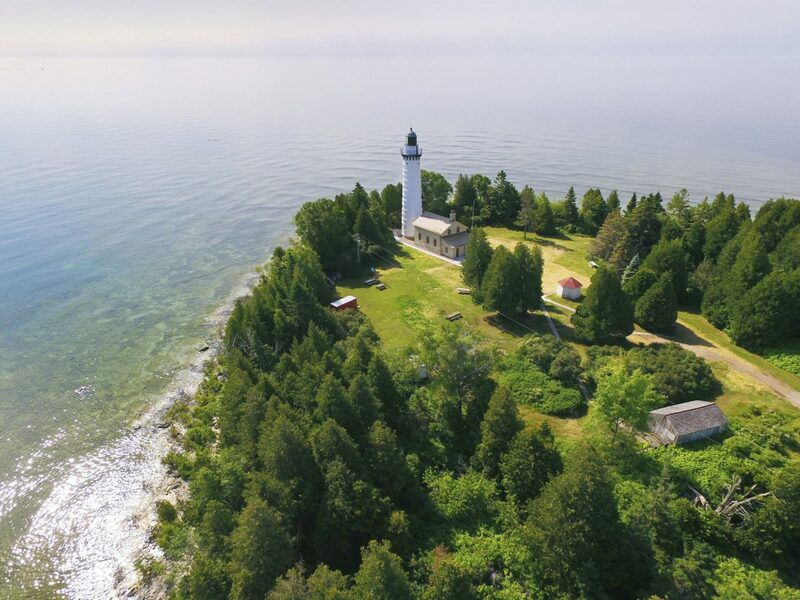 The 125-mile route loops through a storybook landscape linking 14 waterfalls, which feed into smaller estuaries and rivers like the Menominee and Pike. Beyond its parks and trees, the "Chesapeake of the Midwest" is also a food and cocktail lover’s mecca and offers plenty of charming small towns to shop, dine, and stay in. 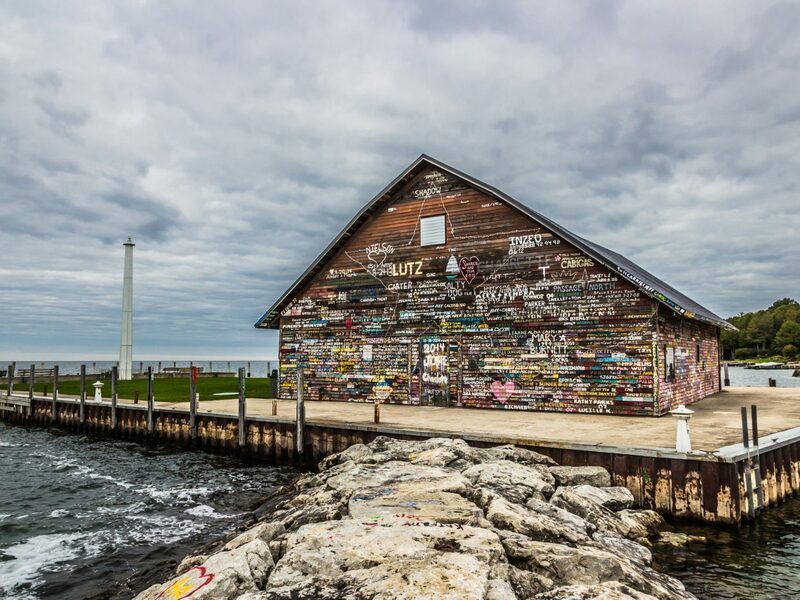 Sturgeon Bay is a favorite for its gorgeous lake views, up-and-coming food scene, and plenty of unique and eccentric shops. 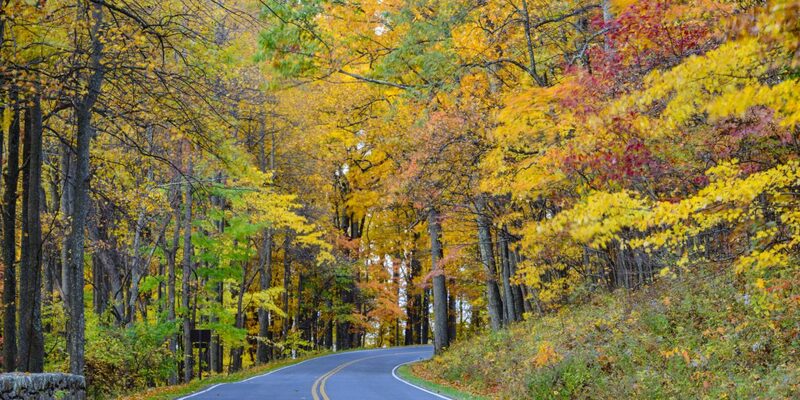 If you and your friends prefer fitness to food, check out the Ice Age National Scenic Trail, which stretches over 1,200 miles across the state and is heaven for leaf-peepers come fall. 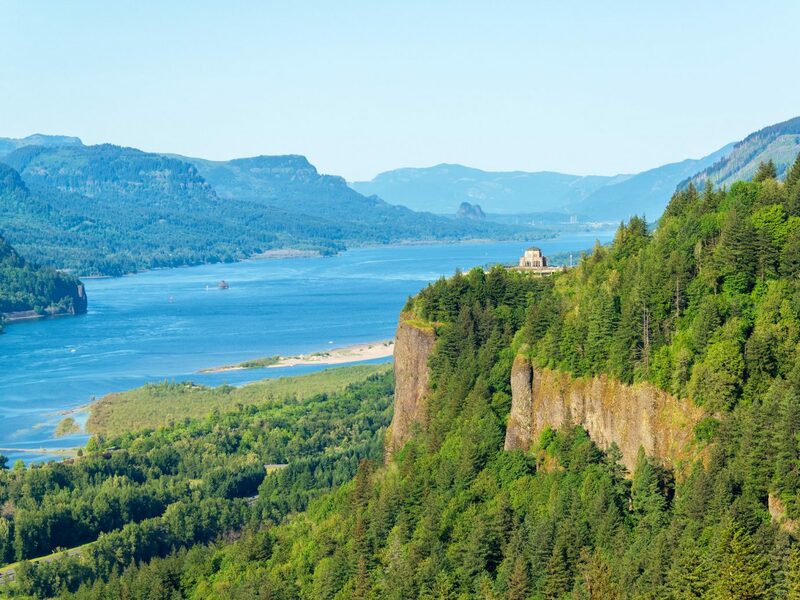 Few places in America offer more natural splendor than the Columbia River Gorge, which slices through the Cascade Mountains and forms a stunning border between southern Washington and northern Oregon. Start your trip in Portland, home to a serious hipster culture that's turned the city into an oasis of brewpubs, food carts (which dish out everything from spicy kimchi tacos to Nutella-filled Belgian waffles), and innovative tech startups. A walk through Nob Hill brings showcases the famous fashion of Portland. 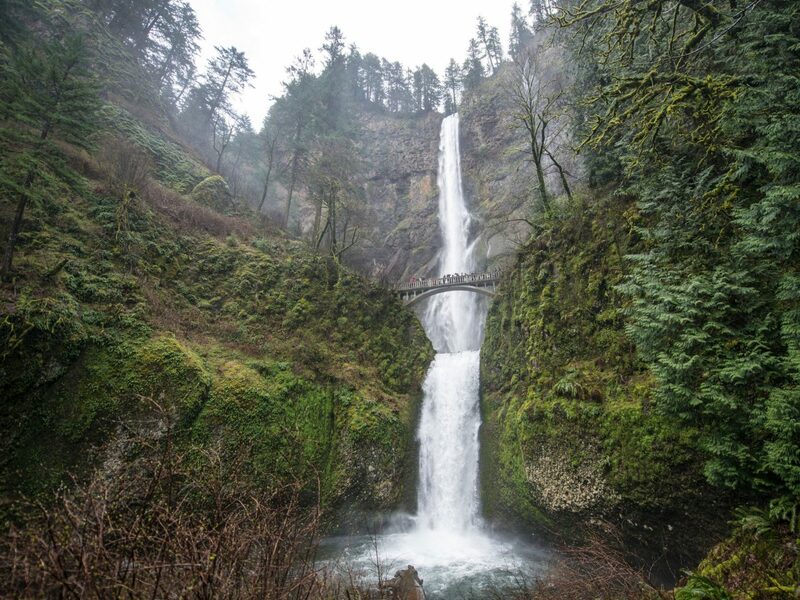 After a drink at Deschutes or BridgePort Brewing Company, two of the area’s best breweries, pick up a box of famous donuts at Blue Star for your 80-mile drive through the Gorge. 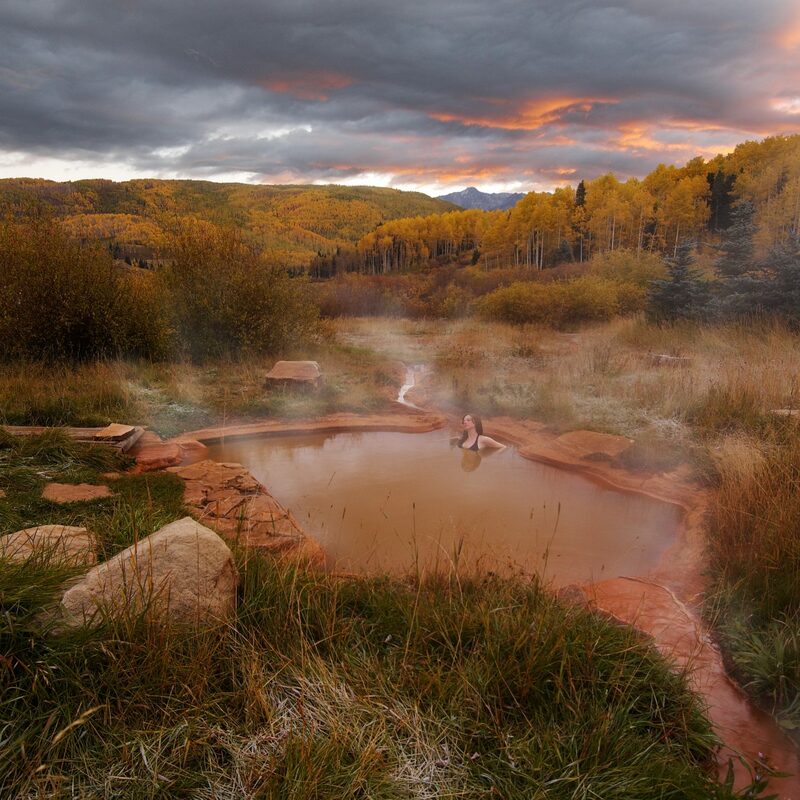 During fall, the route's firs, cottonwoods, and maples erupt into bright colors and offer bronzed and beautiful views the entire way. 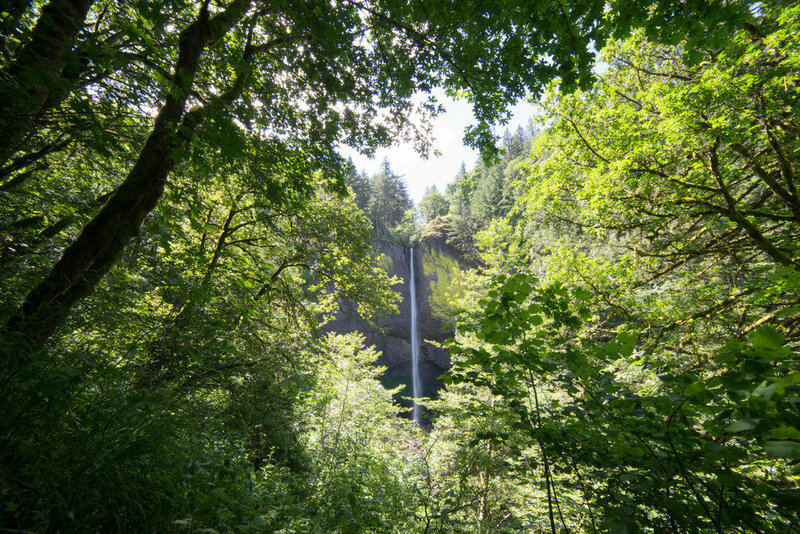 Stretch your legs on one of the many hiking trails located along the road, the best of which lead to Oregon's picture-worthy Multnomah Falls. If the weather permits, you can even park and kayak down the Columbia River. 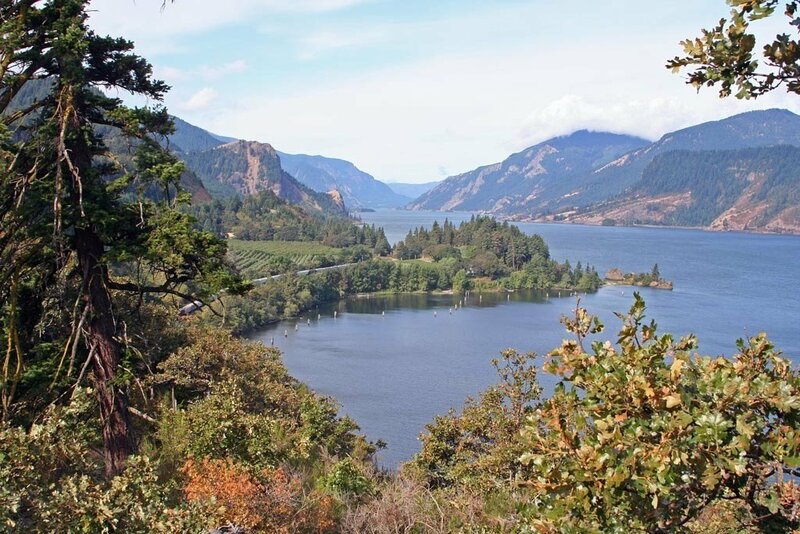 At day's end, rest your weary head at the Columbia Gorge Hotel, known for its stunning views of the 208-foot Wah Gwin Gwin Falls as well as its selection of Willamette Valley wines. If you and your girls are die-hard gastronomes, there’s no better way to stave off hunger than with a trip through Central Texas, the heart of barbecue land. 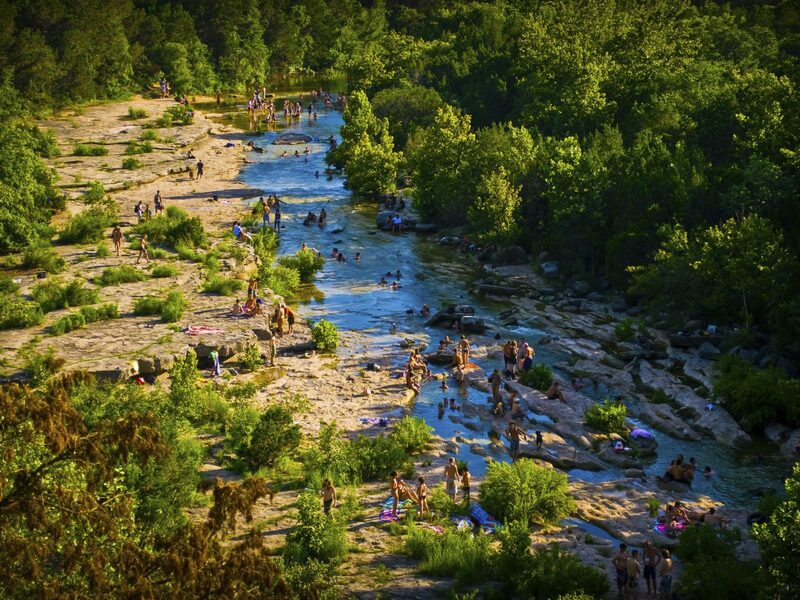 Start the adventure in Austin, Texas’ capital of cool. 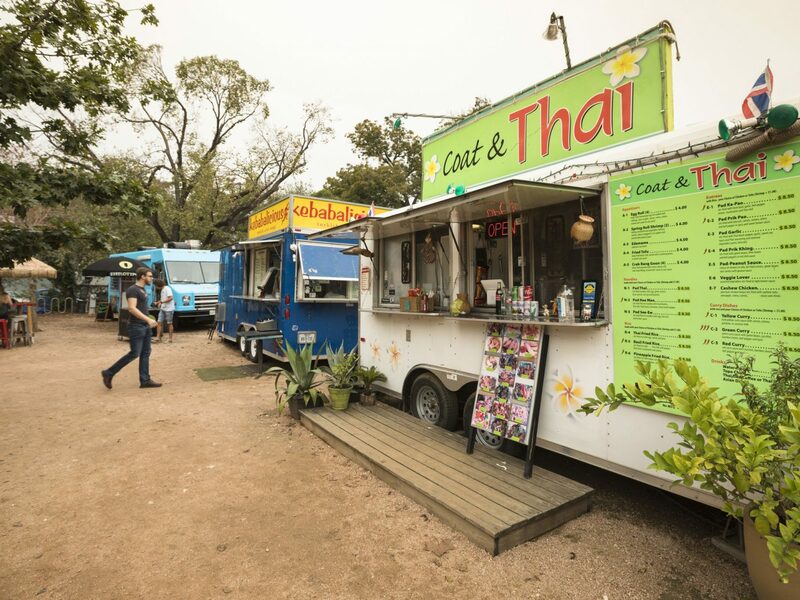 Check in to the South Congress Hotel, a hip, Instagram-worthy boutique home to three restaurants and a rooftop pool, then spend your first day food-cart hopping (East Side King reigns supreme, with Baton Creole, Churro Co, and Kebabalicious close seconds). For a taste of the city’s famous live music, head to the legendary Continental Club for performances in rock, jazz, country, and blues. 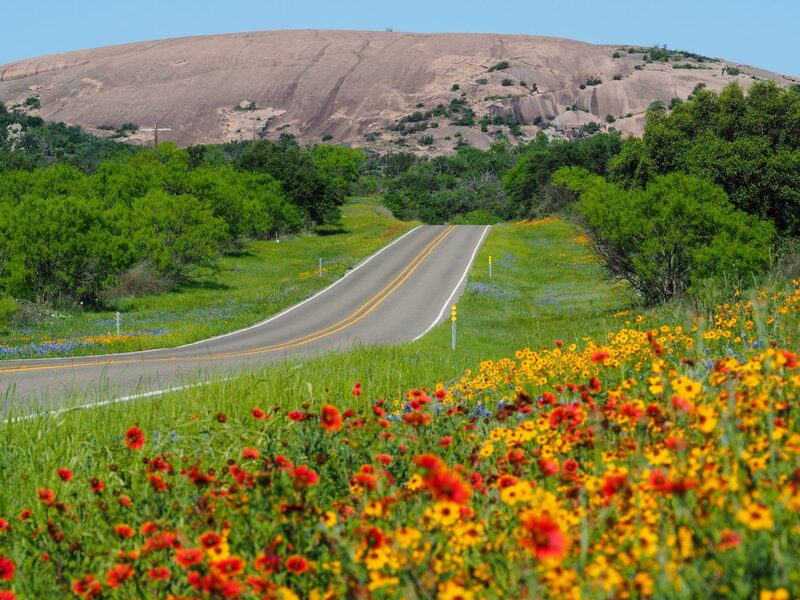 From Austin, it's just an hour-and-a-half drive west to Fredericksburg, one of the cutest towns in Texas. 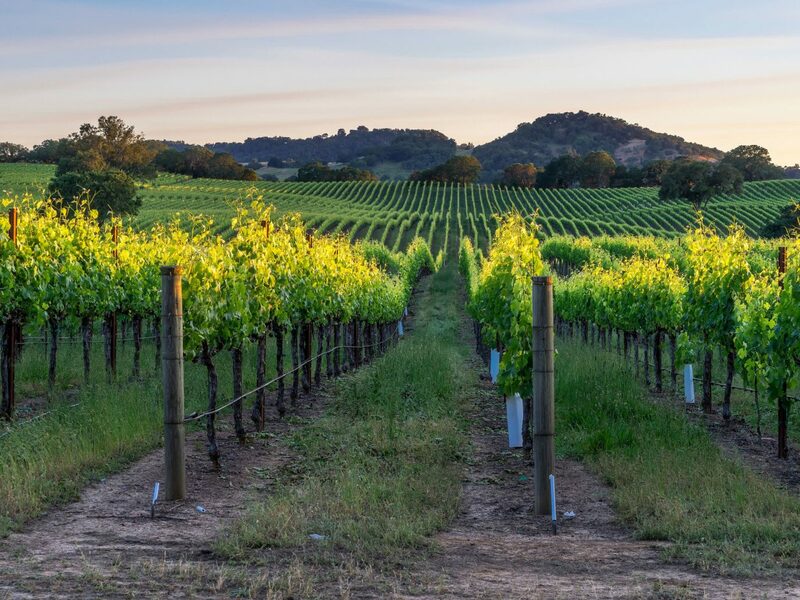 On the way, you'll pass through the popular Wine Road 290, home to 16 of the region's 20 wineries including the family-run Pedernales Cellars for award-winning Tempranillo and Viognier. 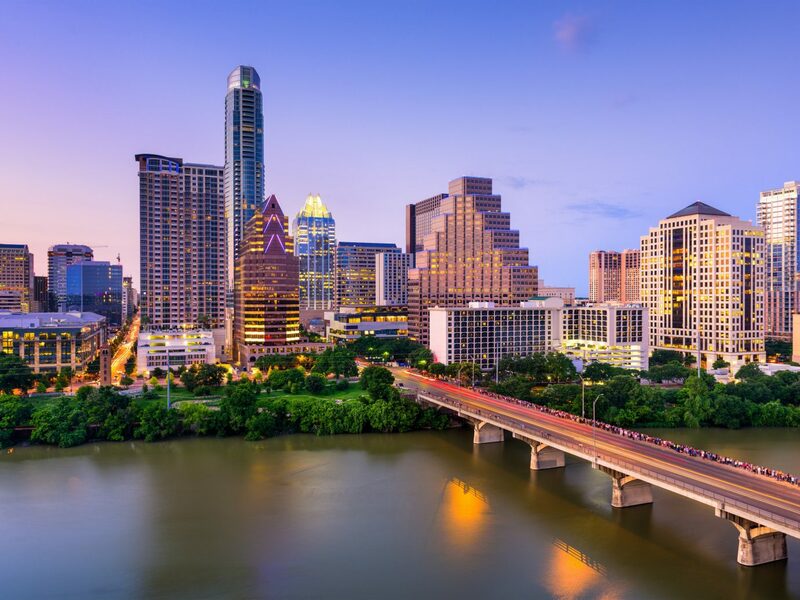 After stopping by Main Street for a quick bite to eat, veer south and set your sights on San Antonio, where you'll find the famous Alamo along with its 15-mile River Walk, home to dozens of bars and restaurants. For a taste of local culture, head to the hip Pearl District, where you'll find some of the city's most exciting new restaurants, fashion boutiques, and stylish new hotel hot spot, Hotel Emma. 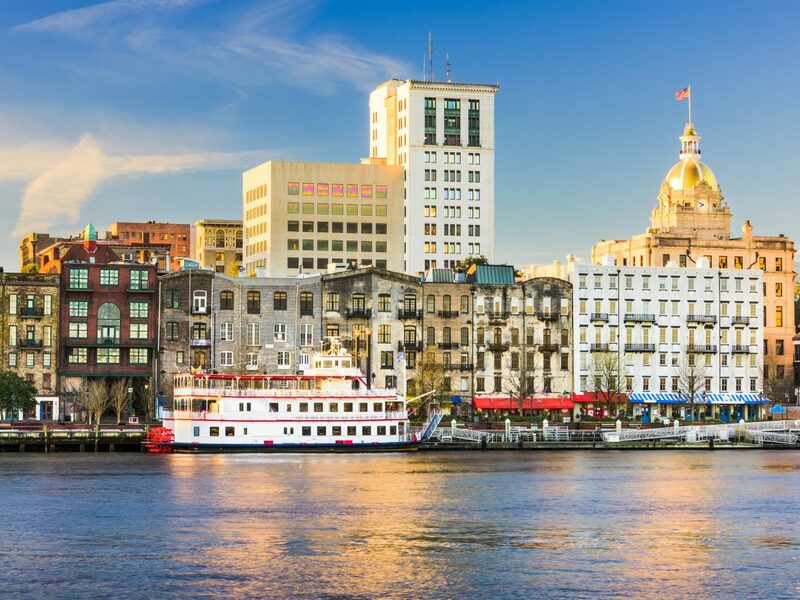 Channel your inner Southern Belle during a visit to two of the country’s most charming southern cities. 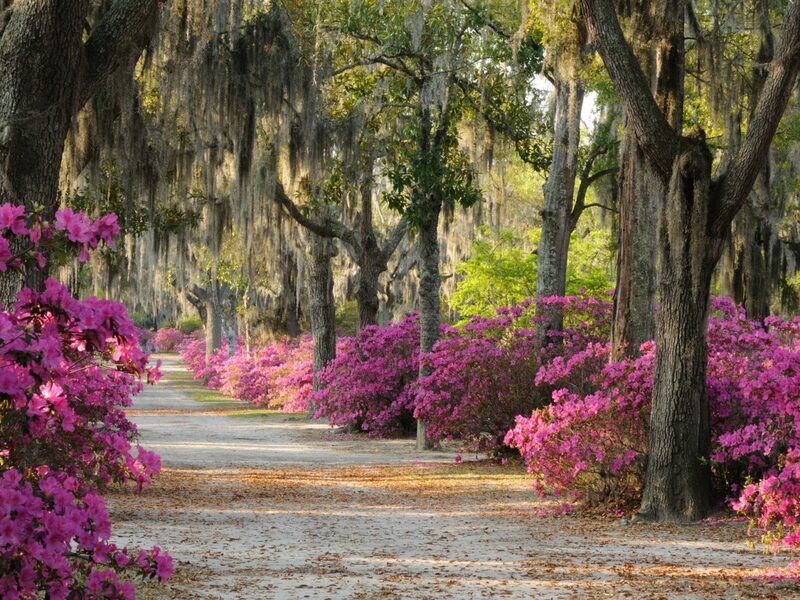 Start in Savannah, one of the oldest cities in Georgia full of cobblestone streets, haunted graveyards, and moss-laden oak trees that shade the city’s streets. Base yourselves at the Hamilton-Turner Inn, a charming Victorian b&b just a few minutes' walk from the iconic Olde Pink House Restaurant, whose sophisticated mansion setting provides the perfect excuse to don your best dresses for a night out. The next morning, enjoy a fancy ladies' brunch (complete with champagne cocktails) at The Collins Quarter, accompanied by live jazz. 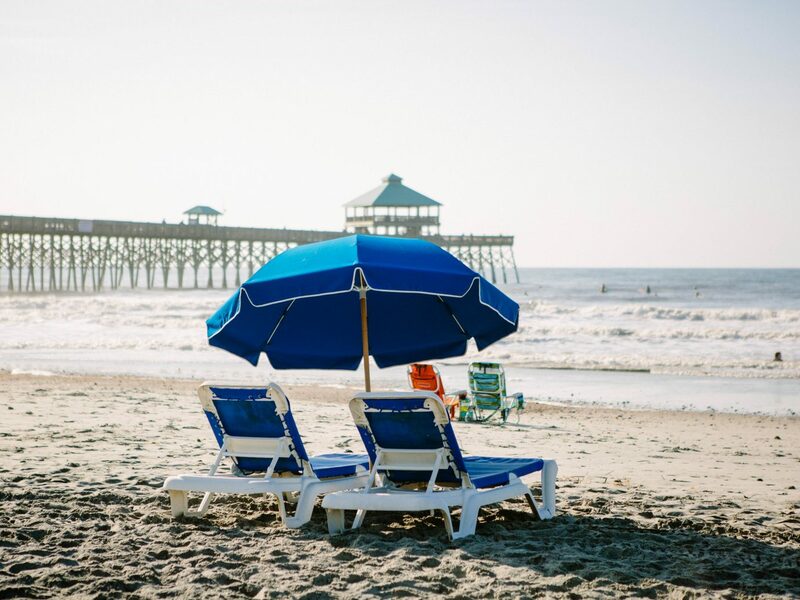 From Savannah, it's just an hour-and-a-half drive to Charleston. 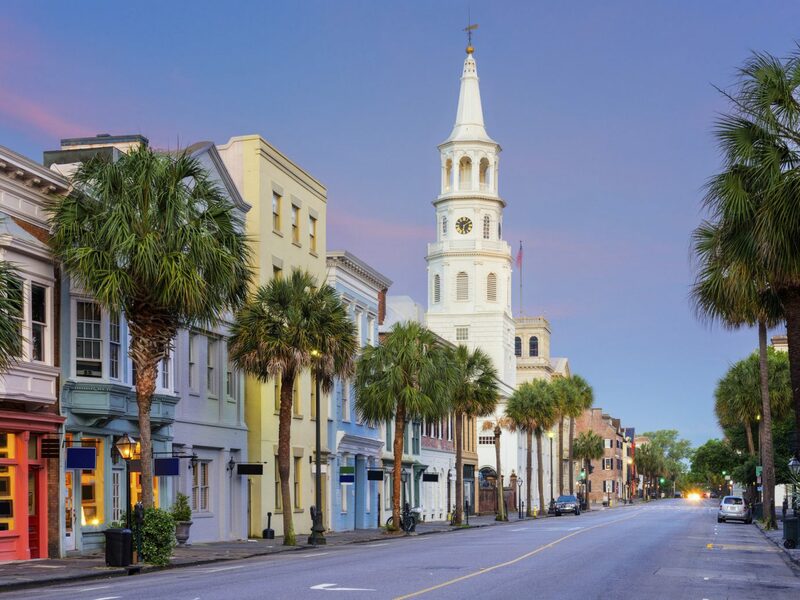 From the moment you arrive, you’ll quickly see why Charleston is consistently voted one of the country's best cities—just look to its mossy oaks, pastel-hued antebellum mansions, and gorgeous beach views of the Battery and Waterfront Park. After checking into The Spectator, a modern boutique two blocks from the famous city market, grab a cocktail at the expertly outfitted bar (psst: try local Gentry bourbon) before dinner at 167 Raw (oyster perfection) or the Ordinary, whose southern-style fare includes dishes like barbecue white shrimp or flounder with squash and beurre rouge. For brunch, Hominy Grill serves up the best shrimp and grits in town—the perfect energy boost before hours spent shopping on King Street. Start in sprawling San Francisco, one of the country’s most diverse cities. Although it’s a little touristy, you can’t miss the Pier 39, which is home to dozens of loud-mouthed sea lions, cute shops, and plenty of places to grab a bite. For some of the city’s best street eats, head to Chinatown, which serves up the most authentic Cantonese and mainland Chinese cuisine in the country. Dim Sum Club is the go-to spot for soup dumplings while Hakkasan offers melt-in-your-mouth peking duck. 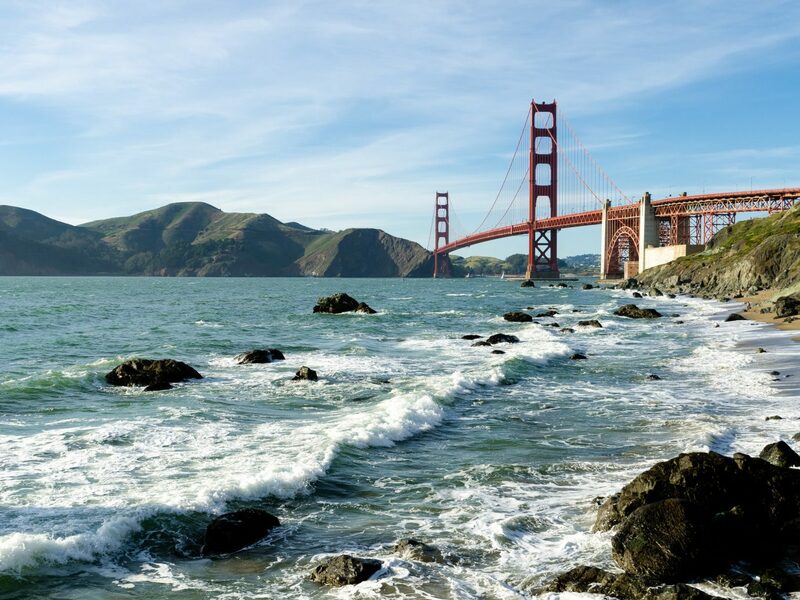 Burn the calories off with a walk over the Golden Gate Bridge, then hit the road bound for Napa and Sonoma to sip and swirl some vino in one of the region's 600+ wineries and tasting rooms. 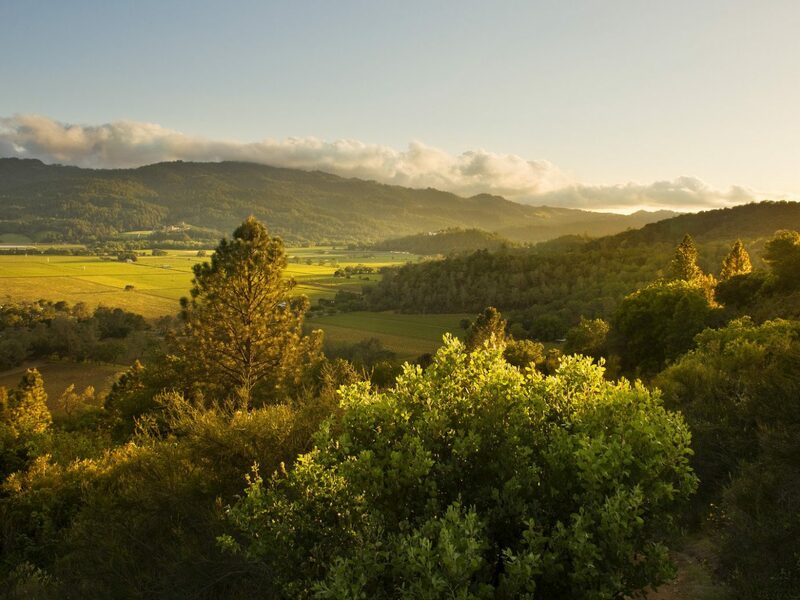 Picking which vineyard to visit is like picking a favorite child—i.e. impossible—but we’d be remiss not to mention Silver Oak in Oakville for its classical and gold-pointed Cabernet, Calistoga's Castello di Amorosa for its history and ambiance (the tasting room is housed in a 13th-century medieval Tuscan castle), and up-and-coming Sonoma winery WALT for its Pinot Noir. 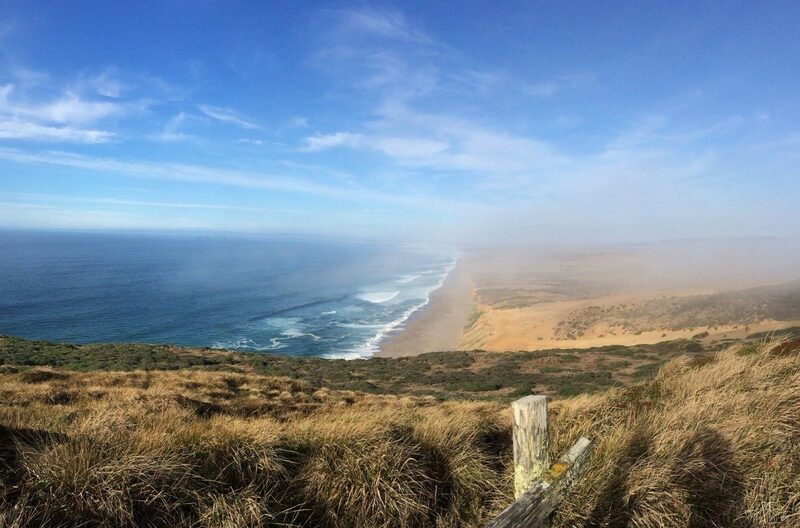 After grabbing some bottles to go, head back towards the coast for Point Reyes National Seashore, whose expansive sandy beaches, vast open grasslands, and thunderous waves makes for the perfect photo op—not to mention over 150 miles of hiking trails and a historic lighthouse ripe for exploring.